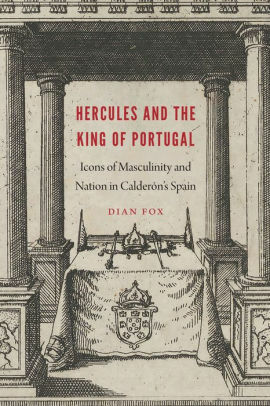 The Page 99 Test: Dian Fox's "Hercules and the King of Portugal"
Dian Fox is a professor emerita of Hispanic studies and women’s, gender, and sexuality studies at Brandeis University. She is the author of Refiguring the Hero: From Peasant to Noble in Lope de Vega and Calderón and Kings in Calderón: A Study in Characterization and Political Theory. From antiquity, Hercules was considered a native son on the Iberian Peninsula. Traditionally, two of his Twelve Labors took place there; he expelled tyrants; and he founded Seville and Barcelona, among other cities. His statues, architecture, and other symbolism abounded (and still do). He signified Christ in medieval church friezes and sermons. In the Renaissance, with imperial Spain at the height of power, voices of authority conscripted the “Hispanic Hercules” to represent Spanish nationhood, the Hapsburg monarchs even claiming descent from him. But there was a problem with this commanding figure so deeply embedded in the cultural landscape: although a hero, Hercules was also a wild man. His myths express his extreme masculinity, with violence, indiscriminate sexual energy, and sometimes hostility to mother-figures. The challenge to elite articulators of nationhood was how to tame Hercules’s image in support of elite control. His stories needed to teach the right lessons to Spanish subjects, how men and women should behave to uphold and perpetuate hierarchy. The flourishing court and public theater was a crucial medium for such messaging. Page 99 begins with the English translation of a princess’s command, in Pedro Calderón’s 1672 Love Feminizes Beasts. Staged before Charles, ten-year-old heir to the Spanish throne, and based on the myth of Omphale, the play schools Hercules on proper manliness by cross-dressing him. Here, although misbehaving in other ways, Hercules’s great transgression is hating women. Venus and Cupid take revenge by making him fall madly in love with the princess, who despises him and dresses him in women’s clothes. Shamed, he vows to mend his ways. (Among other great deeds, the chastened hero will go on to father 72 children and eventually ascend to heaven.) The moral of the story for the young royal in the audience: non-reproduction threatens hierarchy and the state. Spanish theater discerns a similar lesson from the fate of King Sebastian of Portugal (1554-78). His aversion to women and escape from matrimony got him killed invading Morocco, resulting in Portugal’s loss of sovereignty to Spain until 1640. Cultural voices on the Iberian Peninsula and in Brazil are still wrestling with the implications of Sebastian’s behavior. And certainly, interrelationships between public “performances” of manliness and political power are hardly irrelevant to our lives today. Below is most of page 99. English prose translations of passages from the Fieras afemina Amor (Love Feminizes Beasts) appear in parentheses, which is my practice throughout the book, because I want it to reach a wide audience while still respecting the original texts. Because early modern Spanish drama is composed in verse, line numbers are included. ya pinceles y ya plumas.